Absolute perfection describes the spectacular low country home of 14 South Oak Forest Drive on Callawassie Island, South Carolina. Custom designed by Tom Hiatt and custom built by Tilton Signature Homes, this beauty boasts 3 Lighthouse Awards: best kitchen, best exterior and best overall. Located on the serene island of Callawassie, this home is minutes away from Historic Beaufort, and a convenient drive to Hilton Head Island. This 4100 square foot, four bedroom, four and a half bath home’s detailed craftsmanship is evident in every room. The open concept plan features a chef's kitchen with breakfast area, large family room, dining room, office, den and bonus room with beautiful heart pine flooring throughout much of the home. The first floor has fully integrated entertainment system with surround sound in the living room, screened porch, dining room, master bedroom, and office. Always have a great atmosphere when entertaining friends and family. The open living room enjoys a wood burning fireplace and large sliding doors that open to screened outdoor living area. 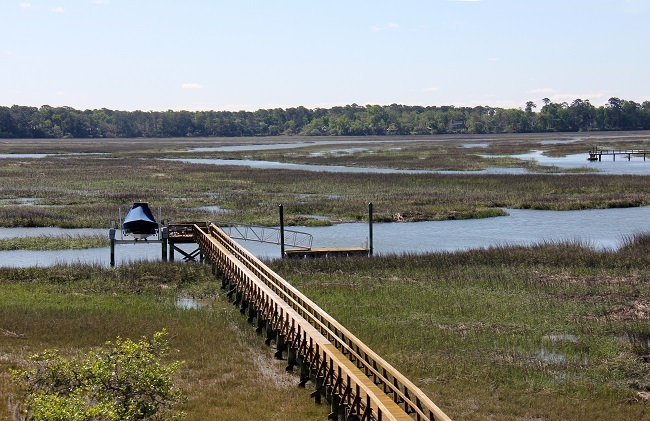 It also has spectacular views of the Colleton River. The chef’s kitchen was awarded the Lighthouse Award in 2010 for Best Kitchen. It offers fitted appliances, farm sink, wine cooler, granite counters, full pantry, bar area, and eat-in area. 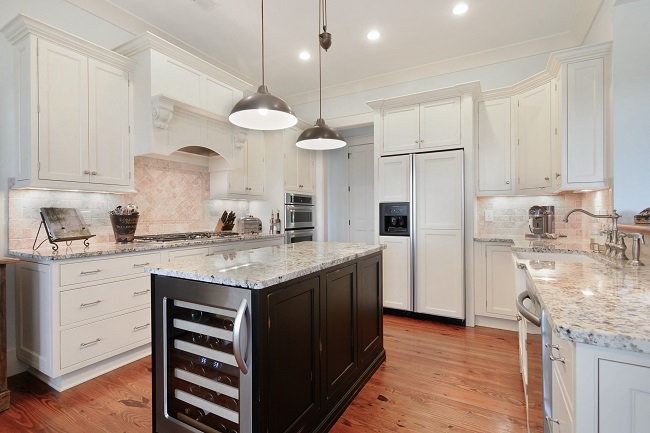 There is plenty of storage space in the custom cabinetry. The first floor master is spacious with a walk-in closet to die for! It has custom built-in dressers and fittings. The master bath features a relaxing deep soak Jacuzzi tub and oversized walk in shower. It has, as well as all of the other bathrooms, top end fixtures and tile, along with silent fan systems. All bedrooms are spacious and airy with private bathrooms. The second floor boasts a big finished 16’x17’ craft room that can be used for storage, a fifth bedroom, and more. It is a heated and cooled space with a lovely marsh view. The fabulous screened porch and deck are perfect for entertaining and are surrounded by stunning views of the river and marshes. 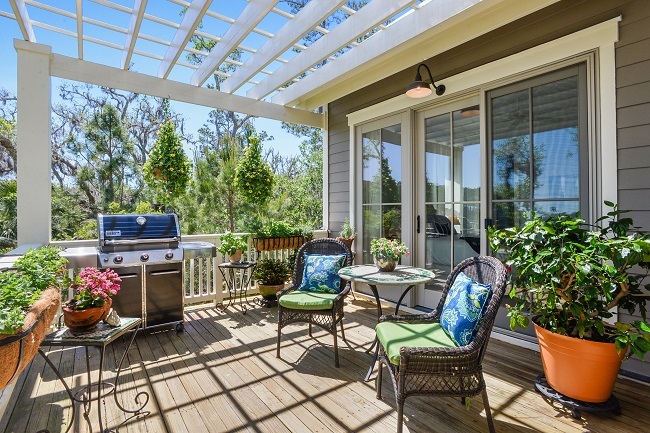 The sun porch with grilling and seating area also has picturesque views. 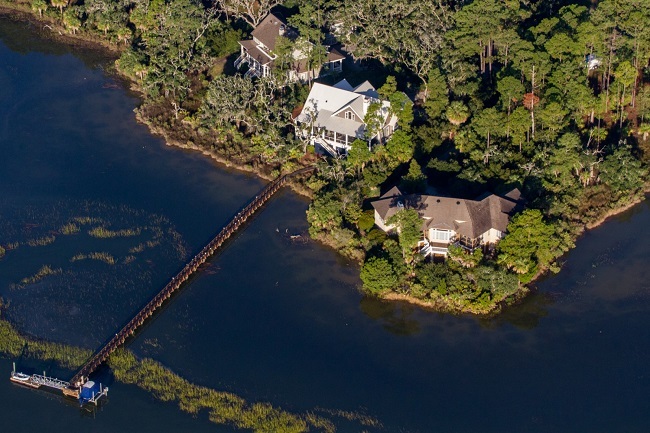 A private dock with solar power lift offers quick access to the Colleton River. This home is very energy efficient with spray foam insulation. There are two Rinnai tankless hot water heaters and two HVAC systems to control energy use. The roof is metal for zero maintenance. Callawassie Island offers a full array of amenities including a PGA award winning 27-hole golf course designed by Tom Fazio, new state of the art fitness center, six clay tennis courts, two clubhouses and two pools. Homeowners can also enjoy access to 33 lagoons, three parks, one butterfly garden, and three rookeries. Water amenities include two kayak launch docks, and three community fishing/crabbing docks, which also provide boat slips for both long-term and daily dockage. 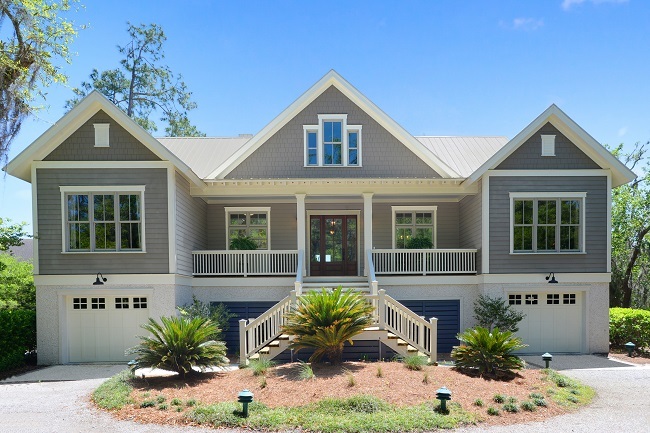 Our Team of Real Estate Professionals specialize in Callawassie South Carolina, which is in the heart of the Lowcountry. We offer full service Real Estate Listing Services, Buyers’ Representation, long term property management, vacation beach rentals, and real estate investment. Visit our local office at 910 Charles Street, Beaufort SC 29902 or call (843) 521-2022.